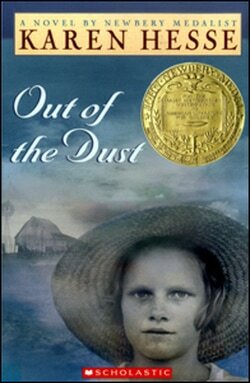 This gripping story is the compelling tale of Billie Jo's struggle to survive during the dust bowl years of the Depression. With stoic courage, she learns to cope with the loss of her mother and her grieving father's slow deterioration. There is hope at the end when Billie Jo's badly burned hands are healed, and she is able to play her beloved piano again.